Since 1985, we have developed top-rated, desktop-based portfolio management software. In addition to IAM's comprehensive and accurate investment record-keeping features, a large part of why our software is critically acclaimed is due to the safety and security of your investment data. Our software is based around the idea that your information is your own and no one else's. We don't have access to it, nor can we download it. Your information is stored safely and securely on your home computer, protected by your computer's security tools (firewall, anti-virus software, password protections). To help you keep your information safe and secure, we want to outline a few options you have to make sure your files and information are safely backed up in case of a computer malfunction or the dreaded spilled coffee. This is one of the best options for storing important and vital information because they can hold large files, are easy to use and in many cases, they're no bigger than your wallet. Many External Hard Drives and Flash Drives offer another barrier to access, like asking for a password to simply open the folders on the hard drive. Investment Account Manager includes a simple-to-use backup feature so you can easily backup your investment data to an external memory device for safe-keeping, and as necessary, use for a system restore to your existing or new computer. 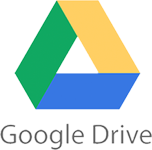 Dropbox and Google Drive offer easy, and free, cloud-based alternatives to external hard drives and flash drives. This is a great option for users who have minimal space on their computers or aren't ready to make the investment of an external hard drive. All Dropbox and Google Drive storage services are secure and need a user created password to access your information, much like the external hard drives. As with external memory devices, Investment Account Manager is able to backup your investment data directly to these cloud-based alternatives for safe-keeping, and as necessary, use for a system restore to your existing or new computer. IAM, PROVIDING FINANCIAL PEACE OF MIND.